The unsung heroes of modern business. We built the Rundeck software platform to let operations run more efficiently, scale faster and maintain security. We call it Self-Service Operations and it’s transforming the way Operations runs at organizations of all sizes across every industry. Operations is caught in a squeeze between the demands of the business to go faster and maintain a competitive edge and the security and compliance constraints needed to avoid breaches. This is in addition to the requests, planned and unplanned, from management, teammates, and customers. These conflicting requirements often leave Ops teams overworked, inefficient, and a perceived roadblock. Rundeck modernizes Operations by allowing a broader number of people — even those outside of traditional Operations boundaries— to have secure and safe self-service access to Operations tasks. Our customers report a significant reductions in interruptions, faster incident response times, and improved visibility into Ops activities. Rundeck works with existing tools and scripts, so there is a minimal learning curve. Rundeck began in 2010 as an open source project created by founders Damon Edwards, Alex Honor, and Greg Schueler. In 2015, Rundeck, Inc. was formed to deliver a supported, commercial version of the project to the market. 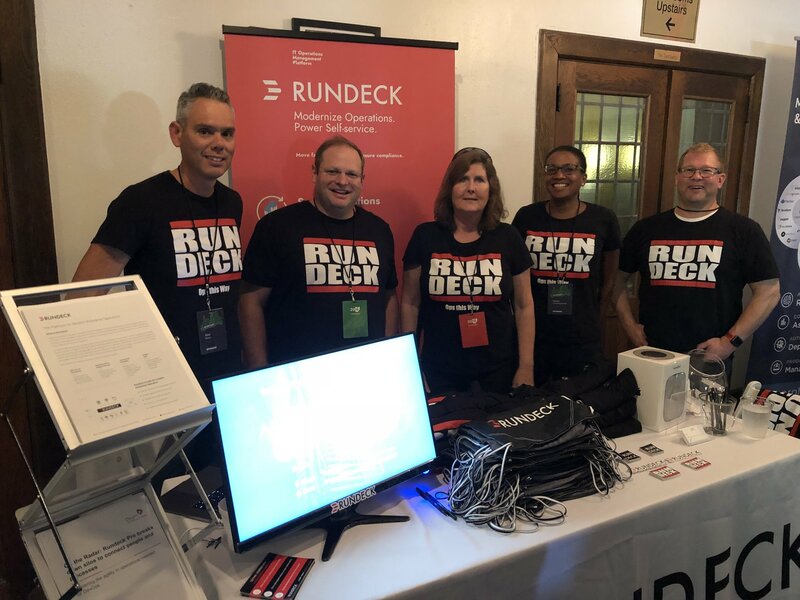 The Rundeck product portfolio now includes Rundeck Community (OSS), Rundeck Team, Rundeck Enterprise, and Rundeck Enterprise Platinum. Thousands of organizations worldwide rely on Rundeck as the foundation of the their IT Operations strategy.